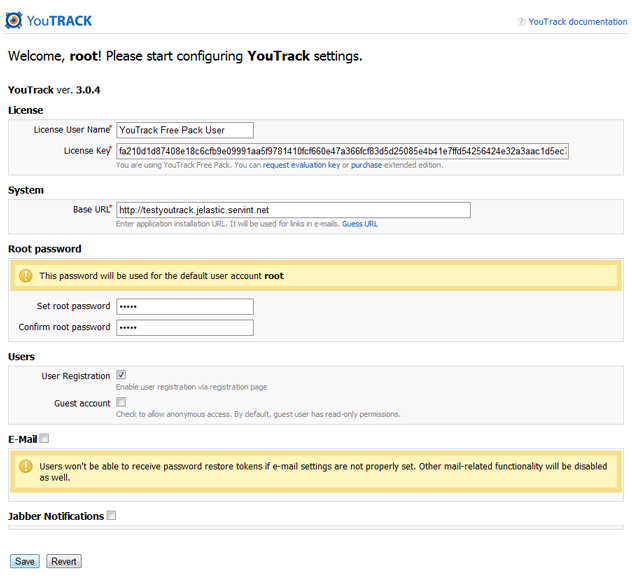 YouTrack is an innovative, keyboard-centric issue tracking and project tracking tool. It focuses on query-based issue search with auto-completion, manipulating issues in batches, customizing the set of issue attributes, creating custom workflows and and implements a keyboard-centric approach. And of course it can be easily deployed into Jelastic cloud. Come through few simple steps below and learn how to do that. Click on Create environment to set up a new environment in Jelastic. In the Environment topology window, specify the resource limits you want to be set for the environment (e.g. 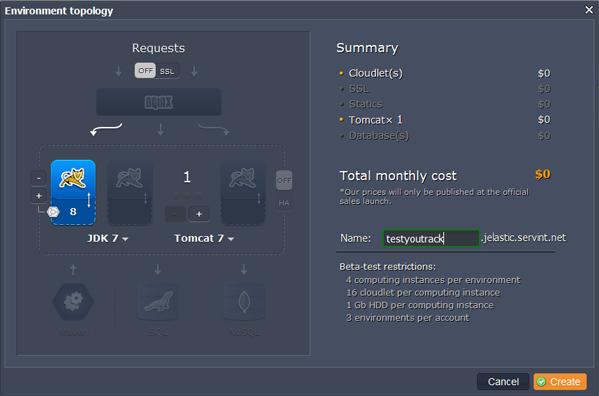 8 cloudlets), select Tomcat 7 as your application server and JDK 7 as your jvm, type your environment name, for example, testyoutrack, and click on Create. In a minute your environment with both Tomcat 7 and JDK 7 will be successfully created and appears in the environments list. Go to www.jetbrains.com and click YouTrack link. 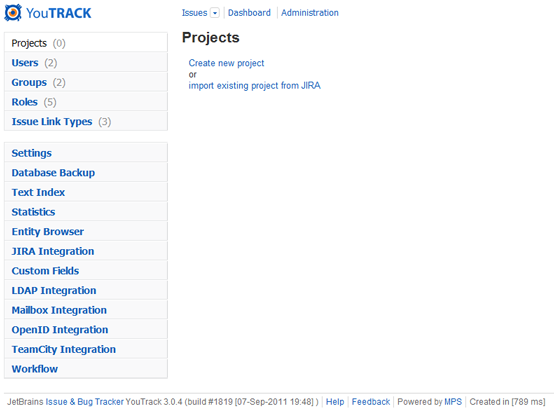 Click Download button, choose Java EE Container and copy YouTrack FREE pack URL address. Switch back to Jelastic dashboard and upload Java WAR package using the URL you have just copied. Once the deploying is finished, you can open your environment in web browser. 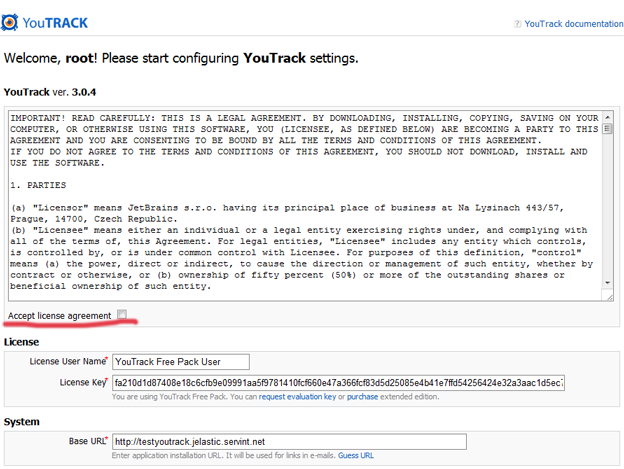 Create a user account to access all YouTrack features.